Aurora Halal is a New York-based musician, visual artist, and event producer. She is the creator of NYC’s underground party series Mutual Dreaming, and co-creator of Sustain-Release, a 700-person music and arts festival in Upstate NY. Since 2011 she has been touring the US and Europe, performing live music and visuals at festivals, universities and respected clubs. All her projects use immersive, experimental and non-commercial approaches to powerful effect. As a video editor she worked full time for Vice and since then has been working freelance with clients including record labels like Planet Mu, RVNG, and more. 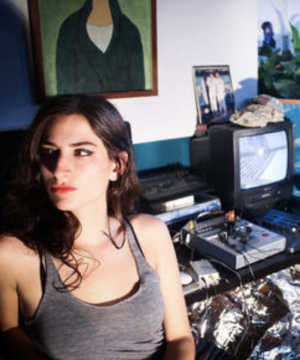 Aurora Halal played a DJ-set and performed live at the Electronic Gender Bending Music Festival 2015.